Claim Your FREE COPY of the doctor-approved book, Staying Hard! Home Fitness What Are BCAAs and Do They Really Promote Muscle Growth? If you’re into bodybuilding, you’ve probably heard about BCAAs. Along with whey protein and creatine, BCAAs are some of the most popular supplements used to promote muscle growth. However, while there is a lot of evidence on both whey protein and creatine, BCAAs are still a bit behind, so many people avoid them. So, what are BCAAs and can they help you grow muscle? Also called branched chain amino acids, BCAAs are important nutrients that our body gets from protein, especially meat and dairy. There are nine BCAAs but three of them play an important role in muscle growth and maintenance: valine, leucine, and isoleucine. Out of these amino acids, leucine is the most important one. Most of our daily needs of leucine can be fulfilled through a regular diet, as this amino acid is largely present in protein-rich foods like chicken breast and cottage cheese. Research suggests that between 9 and 10 grams of BCAAs every day could help us lose fat and preserve muscle. For reference, a typical American diet contains between four and five grams of BCAAs. Do They Promote Muscle Growth? According to a study published in the Amino Acids journal, leucine has no effect on our strength. On the other hand, BCAAs could have an important effect on our muscle growth, especially when we’re “cutting”. One study found that BCAA supplements can help us maintain muscle mass while on a calorie-restricting diet. However, if you’re eating a muscle-building, protein-rich diet, you should be getting enough BCAAs from it without taking supplements. If your question was “what are BCAAs and how can they help me?” – we hope we have answered your question. They could be useful if you’re on a calorie-restricting diet. Otherwise you should be getting enough of them from a protein-rich diet. There are so many weight loss products out there, but most are loaded with chemicals and can destroy your body. However, there is a new product that is CHANGING THE GAME! 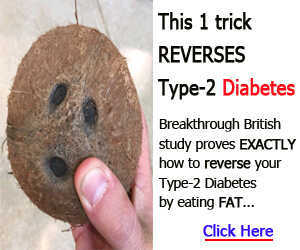 >> Find out about the super-food supplement that can CHANGE YOUR LIFE! Building Muscle Without Working Out? Men's Health Secrets is the number one source of everything you need to know about men's health. Discover the supplement that’s helping men CHANGE THEIR LIVES!